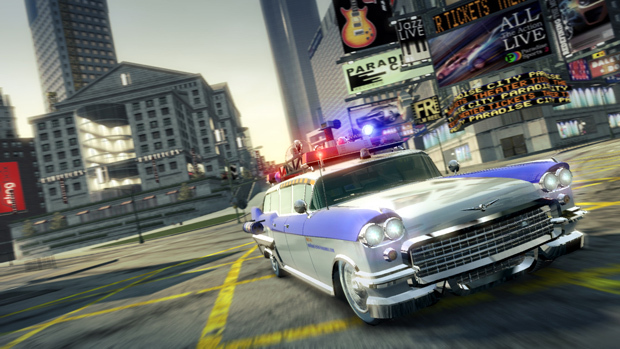 Criterion has made the Legendary Cars Collection DLC for Burnout Paradise free today on Xbox 360 and PlayStation 3 (in North America) in memory of actor, writer, and director Harold Ramis. The pack contains four vehicles all of which are references to famous cars in pop culture. There's the Jansen P12 88 Special (Back to the Future), the Hunter Cavalry Bootlegger (The Dukes of Hazzard), the Carson GT Nighthawk (Knight Rider), and last but not least, the Hunter Manhattan Spirit (Ghostbusters). Worth taking the time to download, in other words. "Harold Ramis was a comedy genius," said Criterion. "He inspired us." A true legend indeed.